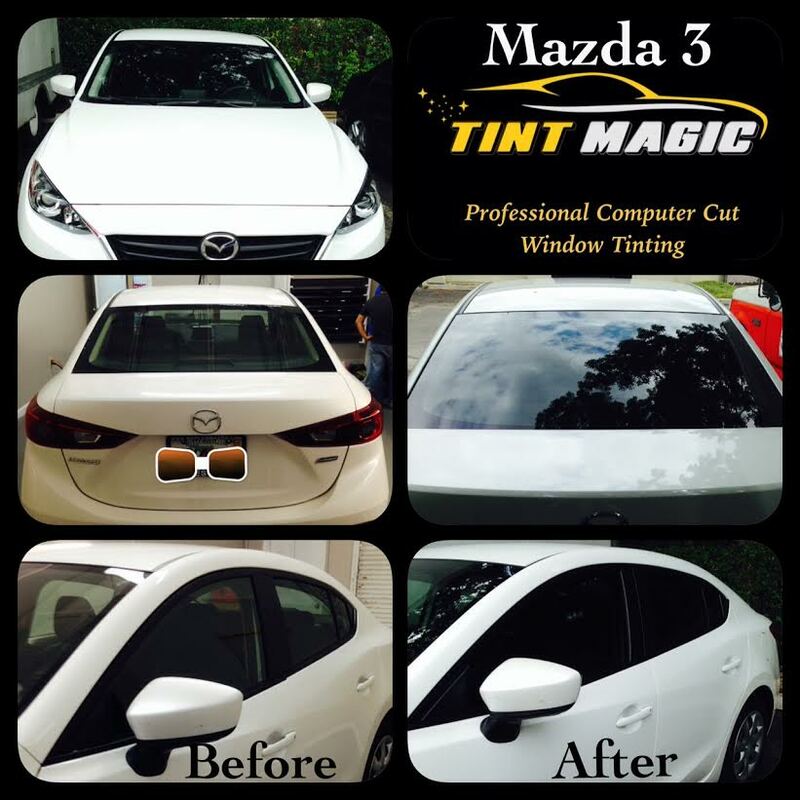 Mazda 3 Window Tint at Tint Magic Coral Springs, before and after photos. Call us for a free consultation! 954-840-7883. If you are looking for professional computer cut window tint installation you are in the right place! 11344 Wiles Road Coral Springs. The Mazda 3 proves that economical, fuel-efficient cars need not be dull to look at or to drive—and these are just a couple of the many reasons we named it to our 10Best list for 2015. Available as a sedan or a four-door hatchback, a 155-hp 2.0-liter four-cylinder is standard; a 184-hp 2.5-liter is optional. A six-speed manual is standard while a six-speed automatic is optional. As with most Mazdas, driving dynamics are peppy and engaging, although road noise can intrude. There are a lot of cars you can spend $28,385 on. You might be surprised to learn that a Mazda 3 is one. A basic Mazda 3 sedan starts at $17,740, so the question of how this Mazda can cost $10,645 more asks itself. (Or it would, if autonomous cars were here yet.) Another $6600 takes you to the top Mazda 3 s Grand Touring trim level, including plenty of luxury amenities: rain-sensing wipers, a sunroof, heated leather seats, keyless entry and starting, a head-up display, a rearview camera, a Bose surround-sound system, and one of the best (i.e. most intuitive) infotainment screens in the business, controlled by either a knob or via touch screen. Enabling navigation at this level costs only $125, but this car also had the $1750 Appearance package, consisting of an attractive front air dam, rear bumper skirt, hatch spoiler, and side-sill extensions.